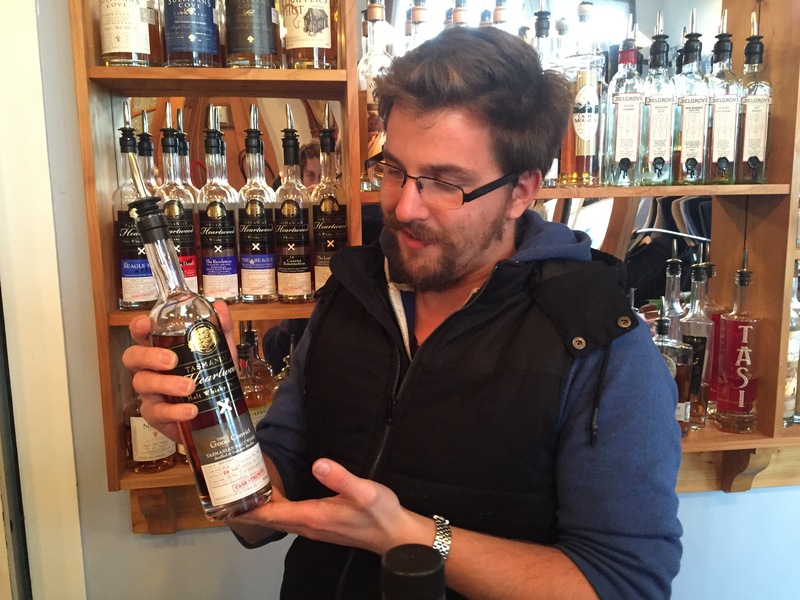 As Tasmanians we tend to think that our locally produced whisky is rather great. Unfortunately, the opportunity to taste a good assortment of the state’s bottlings is fairly hard to come by, unless you happen to have really deep pockets or are friends with Jeff Kennett. Hold on, so why not open some kind of boutique store in a beautiful location, stocking a comprehensive range of Tasmania’s finest drams for people to sample at their leisure? Luckily, that is exactly what an enterprising ex-expat couple has done. Louise Payne and Sam Humphries grew up in North West Tasmania but left the state to pursue the highlife in Sydney. But you know what they say: a change is as good as a holiday, and the couple swapped the nations’ largest city for a popular holiday destination: moving into an old bank building in the picturesque town of Stanley. 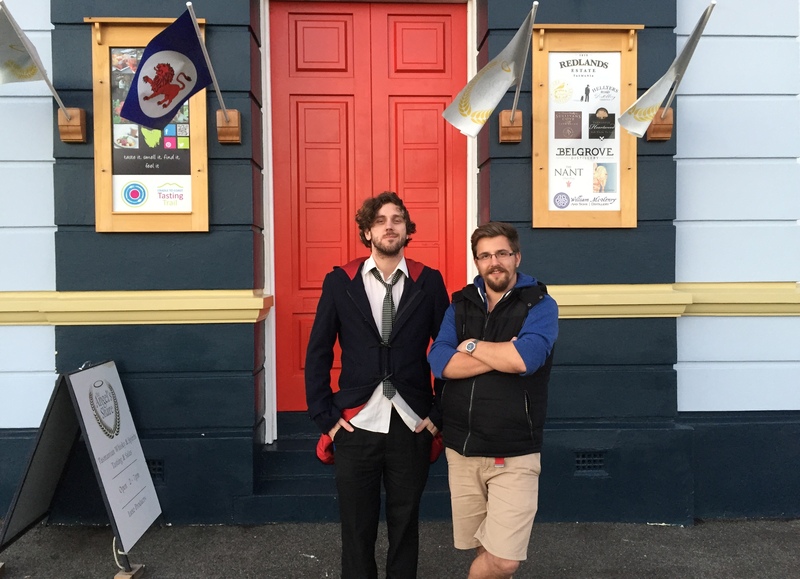 Initially unsure of how to utilise their time, they saw an opportunity in the fledgling Tasmanian whisky market and seized it. Sam, member of local band ‘Charlie Don’t Surf’, described this business venture as: “riding the crest of a wave”. Today the couple have transformed their old bank into a whisky drinking nirvana called ‘The Angel’s Share’, even converting the bank’s old safe into a whisky vault. 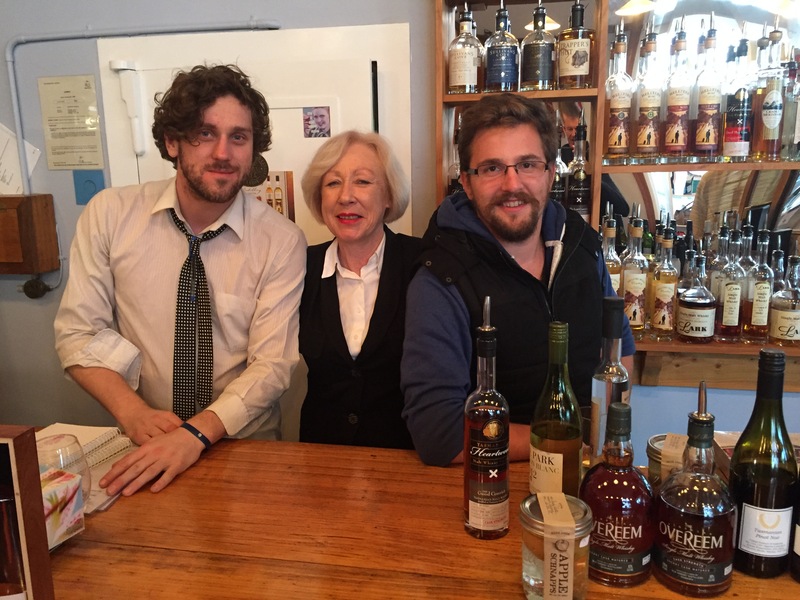 As Stanley is only an hour’s drive from their hometown, the Whisky Waffle boys decided to pay Louise and Sam a visit – and sample a portion of their amazing range. Neither Waffler wanted to be designated driver, so they booked a cottage within stumbling distance of their destination. The only question when faced with an entire wall of Tasmanian whisky was: where to start? We decided to right a wrong and sample the wares of a distillery we had scarcely tried before: Belgrove. The creations of Tasmania’s mad scientist of whisky, Pete Bignell, were whiskies like we’d never tasted before and we were grateful for the opportunity to sample them. We then moved onto Nant, investigating some of their vatted malts: the Homestead and the Old Mill. After some musing we decided that, while pleasant, we preferred their cask-specific releases better. What would a tasting of Tasmanian whisky be without Lark? 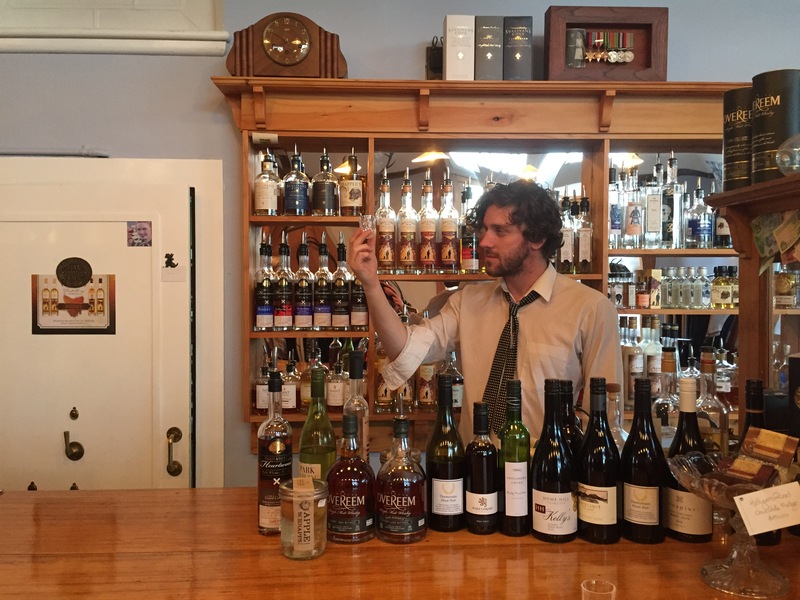 We had a cask-strength face-off between the port and sherry-barrelled releases, which remained unresolved as Nick preferred the former while Ted the latter. Our languorous afternoon of whisky tasting concluded with the heavy hitting Heartwood. We’ve rarely seen such a range of Heartwood expressions – if you’re interested in trying Tim Duckett’s colossal creations, then this is the place to come. We tried the Devil in the Detail – Heartwood’s strongest release yet at a whopping 73.5% – and the Good Convict – a gorgeous Sullivans Cove-distilled number which we decided was probably the pick of the day. 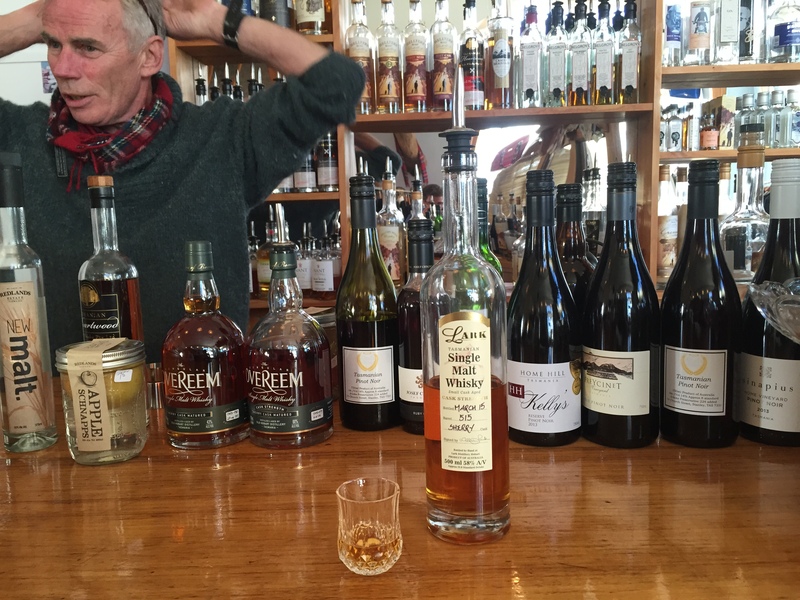 If you are curious to find out what Tasmanian whisky is all about, but you are unsure of what to purchase – or even where to start – then a trip to the Angels Share is a dram good idea. It gives you the rare opportunity of try before you buy thus avoiding spending large sums of money on whisky you don’t necessarily enjoy. The Tasmanian whisky industry and the bar have a symbiotic relationship: Louise and Sam will happily point you in the direction of distilleries you like, but the friendly atmosphere, stunning surrounds and of course the whisky itself will keep bringing you back to spend another lazy afternoon in the beautiful town of Stanley at the Angels Share. I like Whisky. I Really do. But can we talk about the awesomness that is that suite in Pic 1? Wow, so how does prohibition go down with the fact that India has high whisky production/consumption, including several emerging high class brands? Would be totes devo if Amrut and Paul John vanished!